Io (film, 2019). 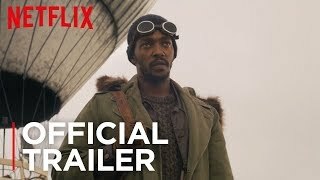 A 2019 American science fiction film by Netflix. Directed by Jonathan Helpert. Official Trailer. Io is a 2019 American science fiction film directed by Jonathan Helpert. IO | Official Trailer | Netflix. The film is set in a post-apocalyptic future, where Earth's atmosphere has become toxic. Most humans have fled the planet, to live on a space station near Io, a moon of Jupiter. Sam Walden is one of the few humans remaining on Earth. She lives alone at high altitude, where the air is still breathable, trying to raise bees that can survive in the atmosphere. Her intent is to use the bees to eventually clean the air via the pollinization of oxygen-producing plants. Her long-distance boyfriend, who lives on the Io station, urges her to leave Earth on the last shuttle from the planet. A storm creates a toxic cloud that passes through Sam's shelter, apparently killing all of her bees. Micah, a man travelling by helium balloon, arrives shortly thereafter. He intends to reach the launch site and leave Earth, but first wants to speak with Dr. Harry Walden, Sam's father, who had urged mankind to stay because he still saw hope. Initially, Sam states that her father is conducting field work elsewhere. However, after a day, she reveals that her father died the previous year. Hearing this, Micah is determined to take Sam with him to the space shuttle, to which she apathetically agrees. After receiving a message from her boyfriend saying goodbye, because he is part of an expedition embarking on a 10-year voyage to an exoplanet orbiting Alpha Centauri, Sam records a message informing everyone still on Earth that Dr. Walden's attempt to clean the planet was ultimately unsuccessful and that everybody should leave to Io. 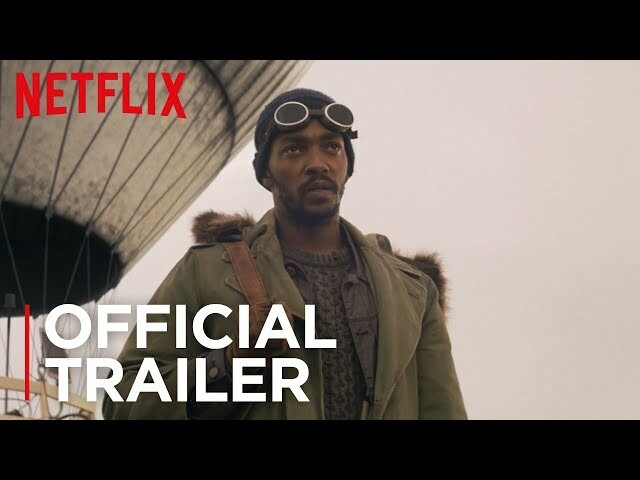 The film Io was scheduled to be released by Netflix on January 18, 2019. Io got average rating from critics. The audience dislikes the film either.